The vacuum breaker valve is designed to prevent dangerous back-siphonage and backflow into a potable water supply system. 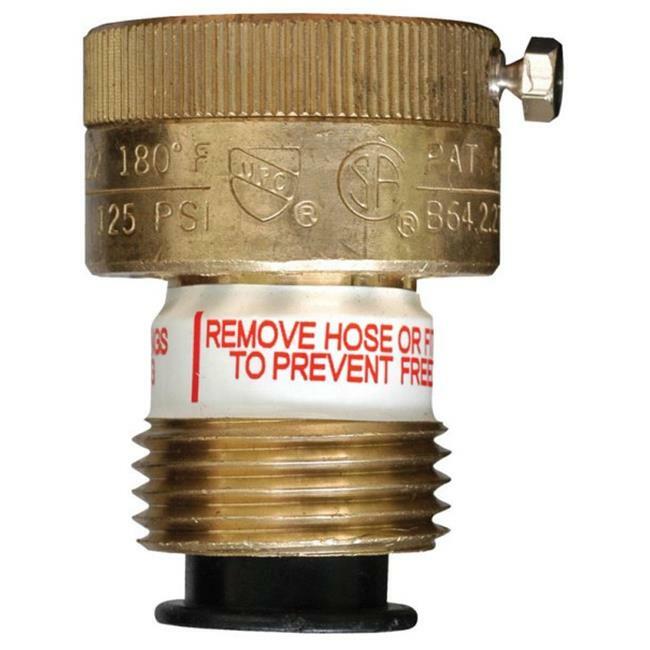 It automatically self-drains when all attachments are removed completely from the valve's outlet which protects the valve and faucet from freezing and rupturing in cold weather. Constructed with brass body and adapter, Buna O-ring and seat disc, steel set screw, stainless steel springs and the highest quality molded parts. Note: These units are not intended for use where water contamination could occur as a result of Draining or for permanent continuous pressure installation.